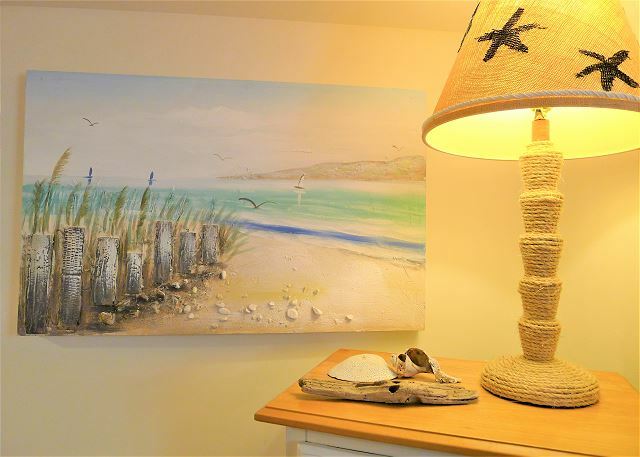 Go to TripAdvisor to see the reviews directly! 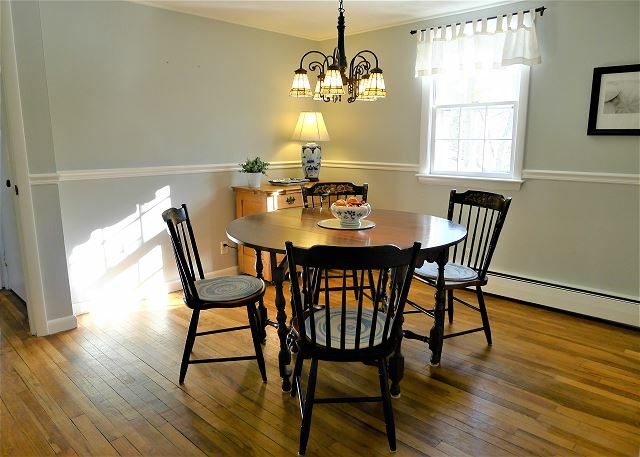 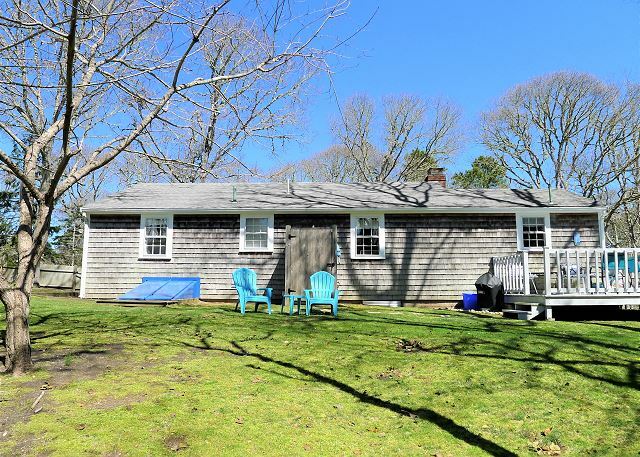 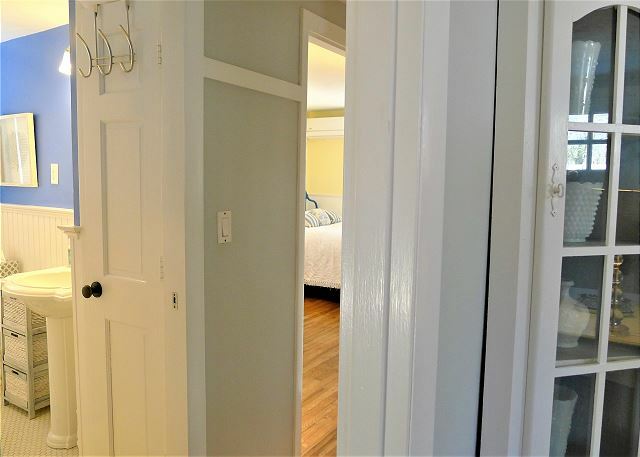 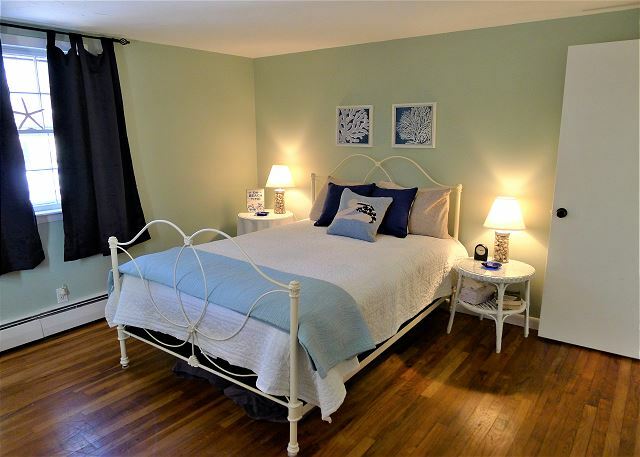 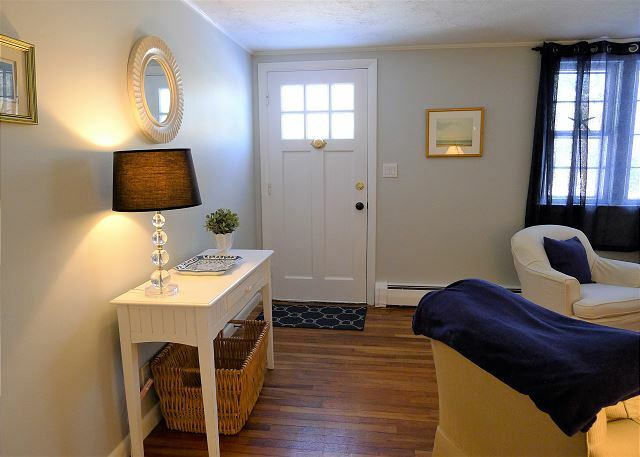 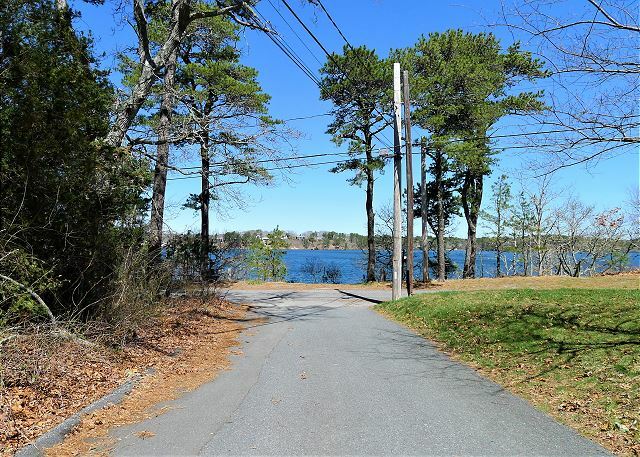 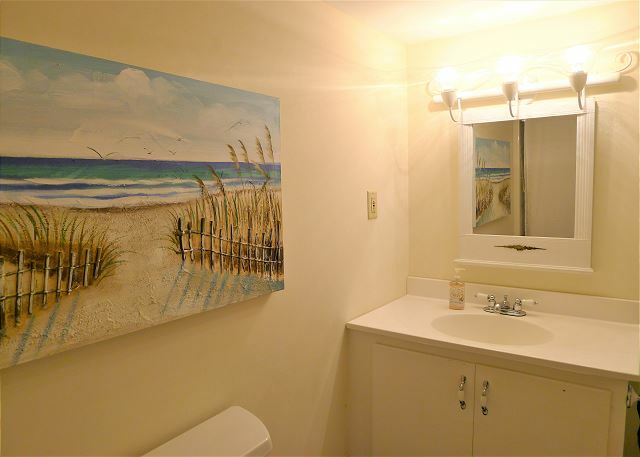 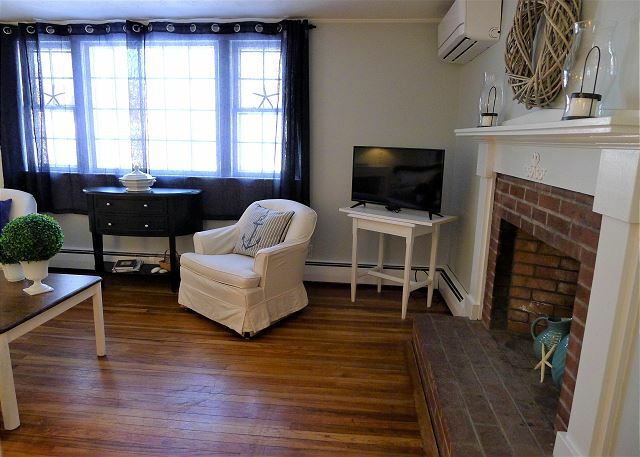 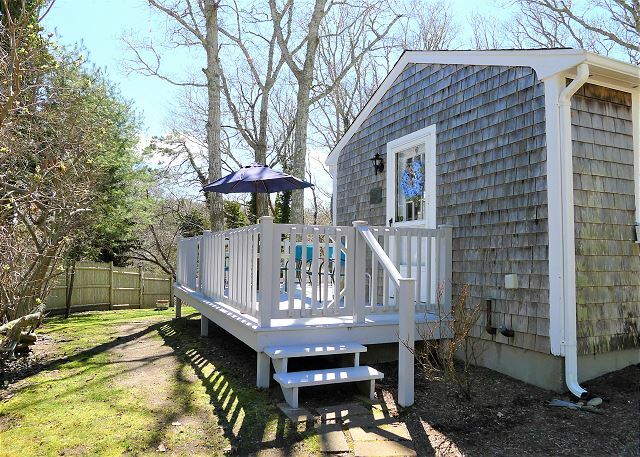 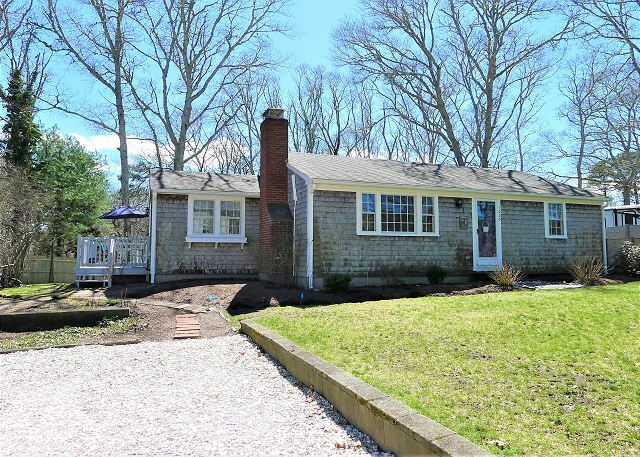 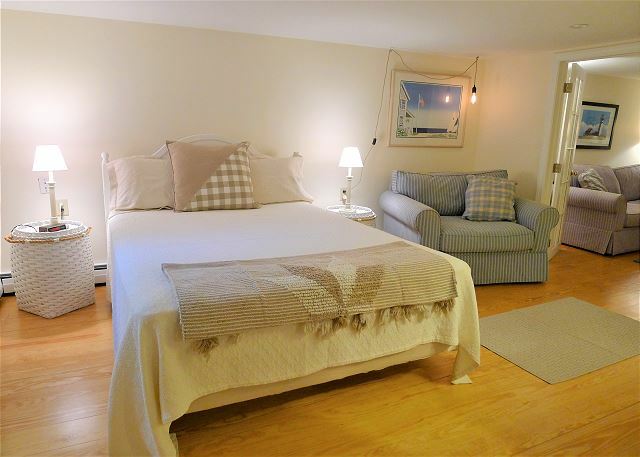 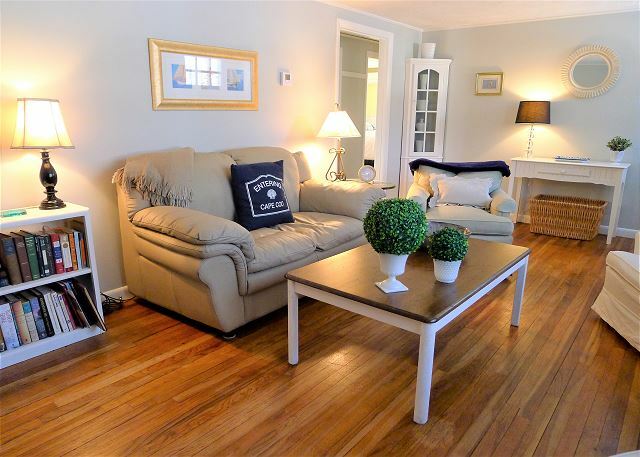 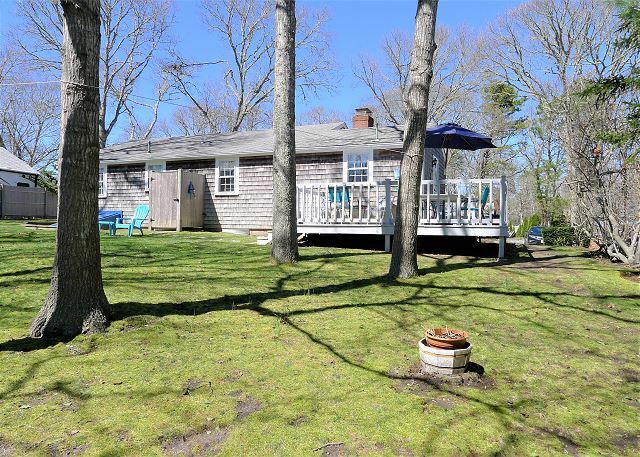 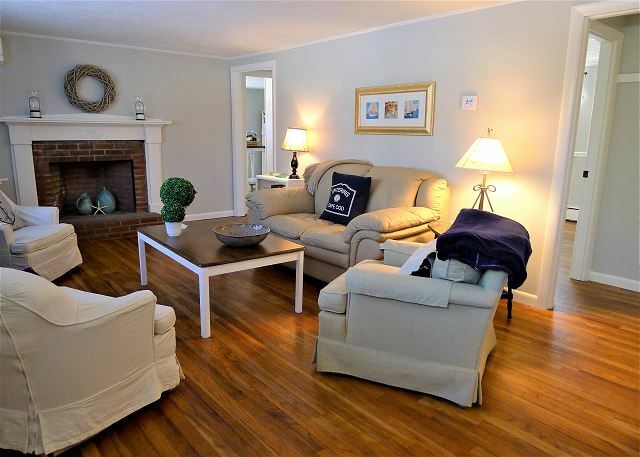 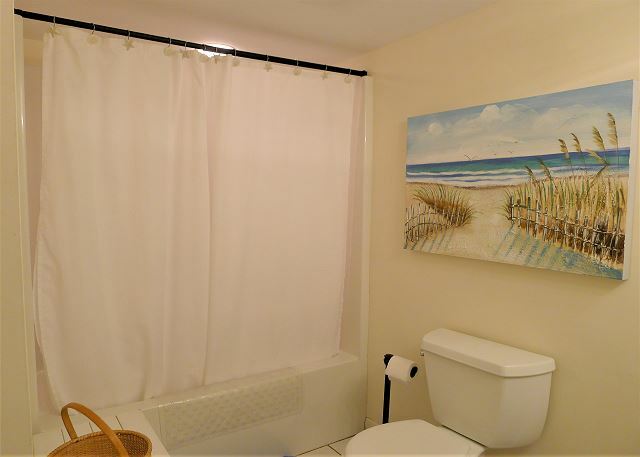 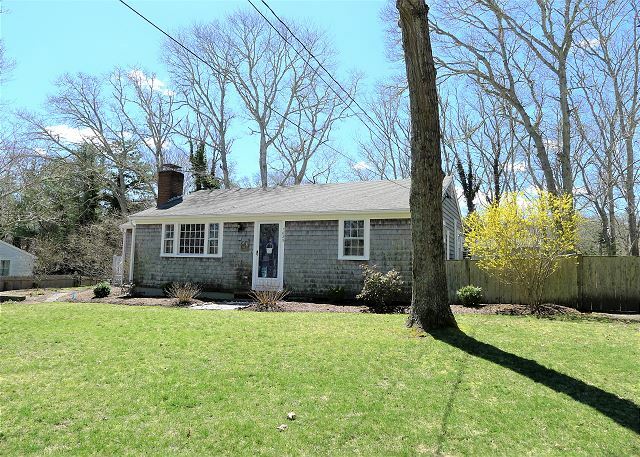 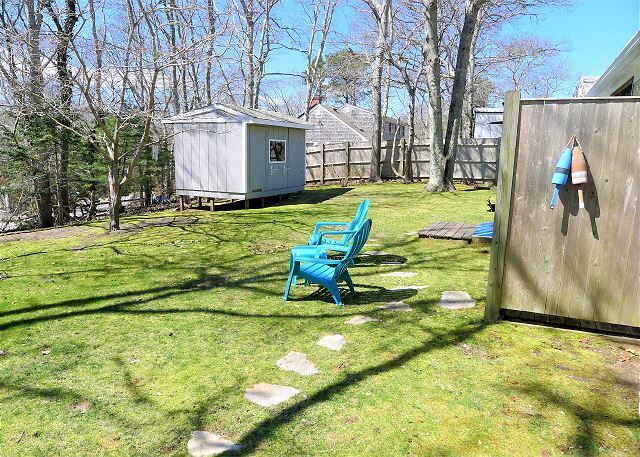 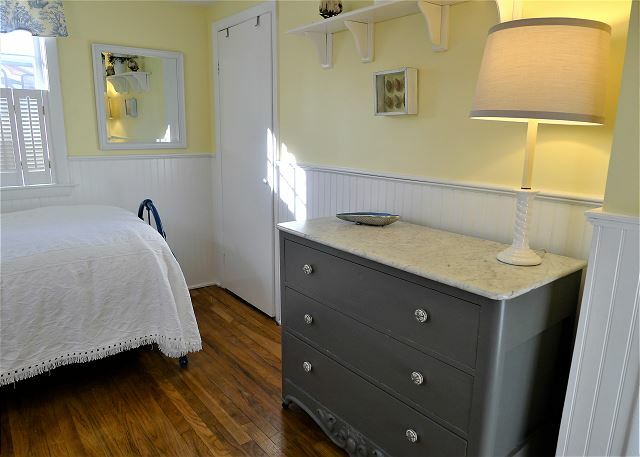 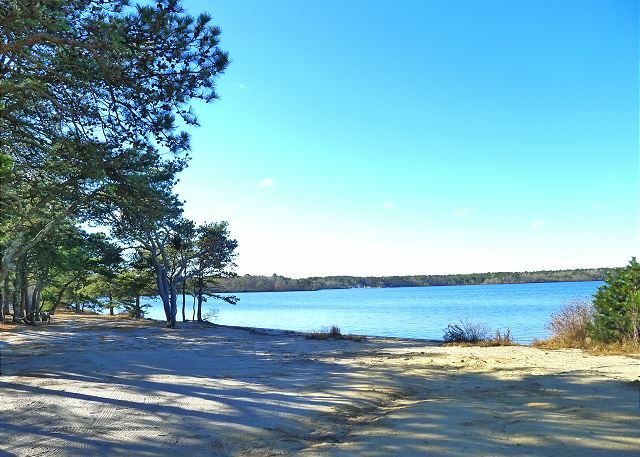 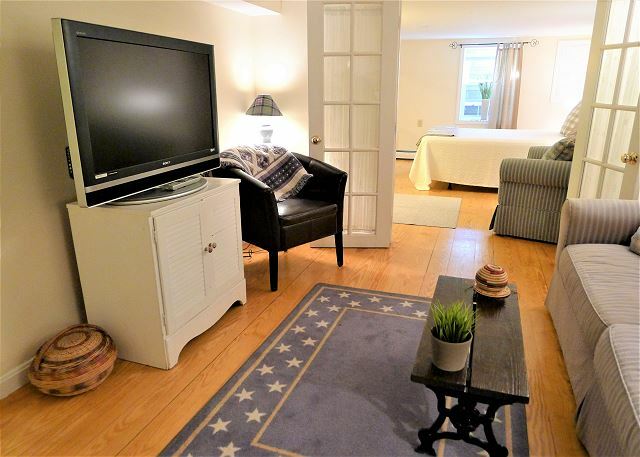 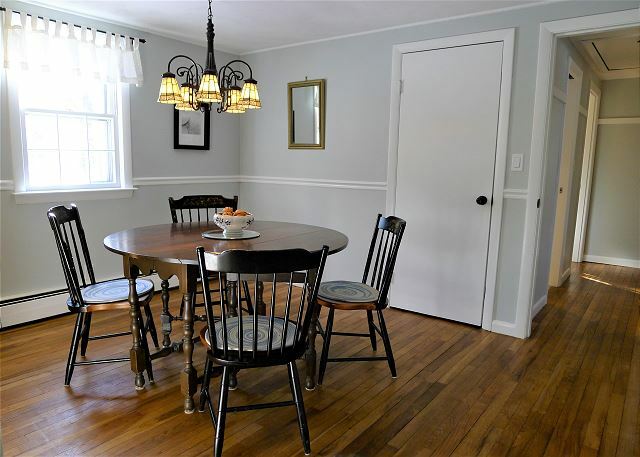 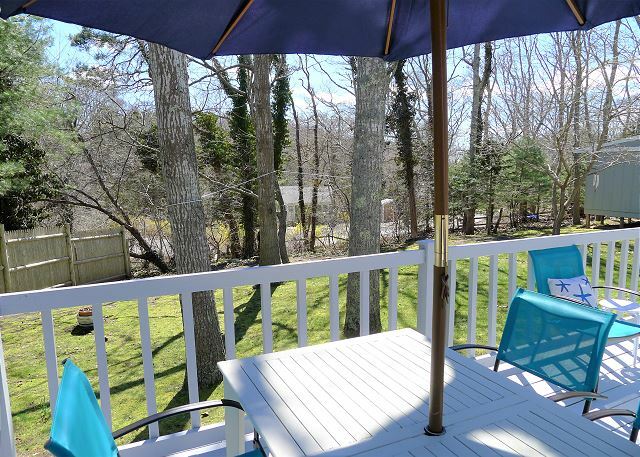 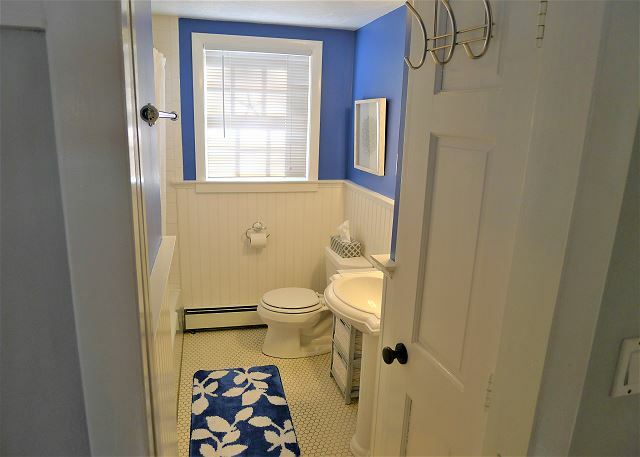 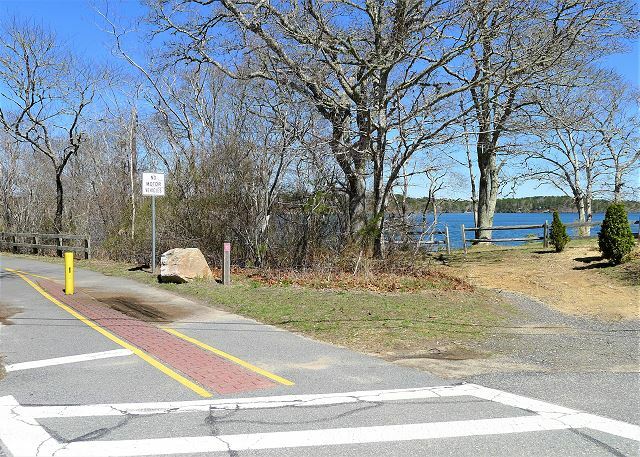 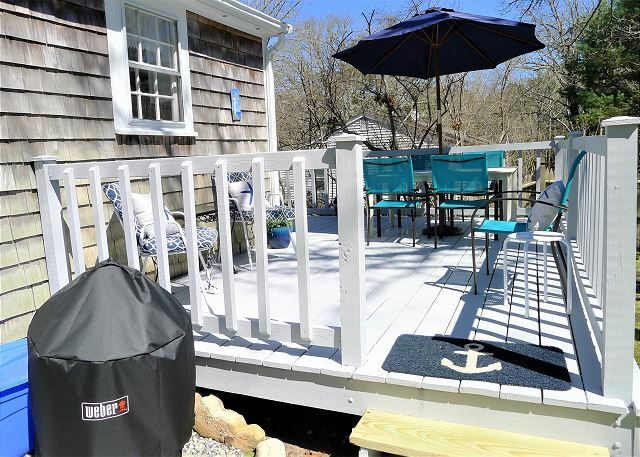 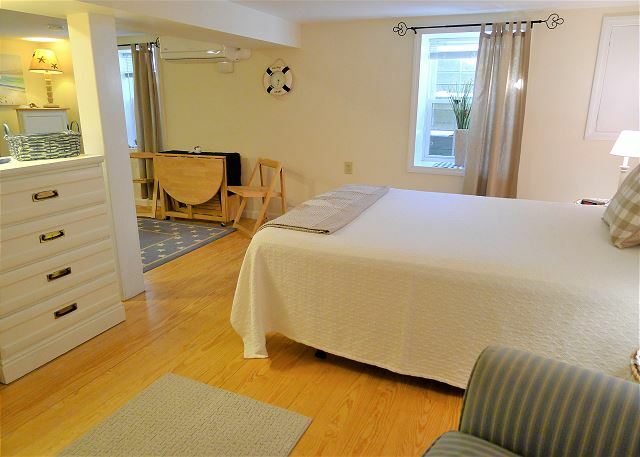 Under new ownership with lots of improvements, this nicely decorated and ready for a summer of fun in Harwich is just a couple blocks from beautiful Long Pond (0.2 miles) and the Cape Cod Bike trail (0.3 miles.) 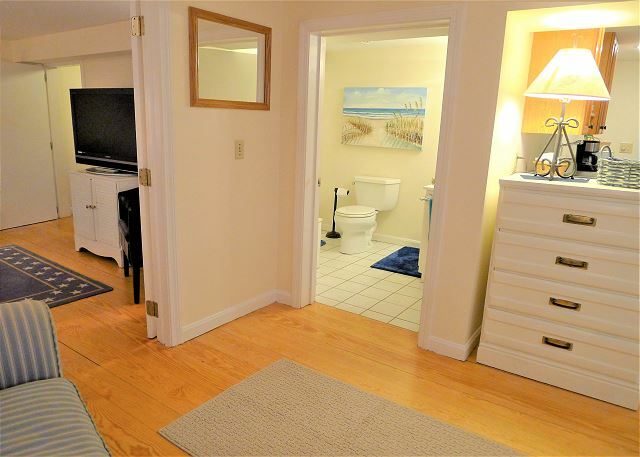 and it's PET FRIENDLY! 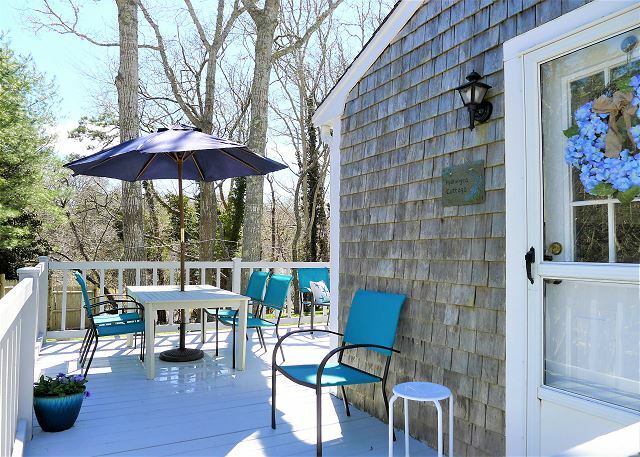 This is the perfect vacation retreat for up to six guests. 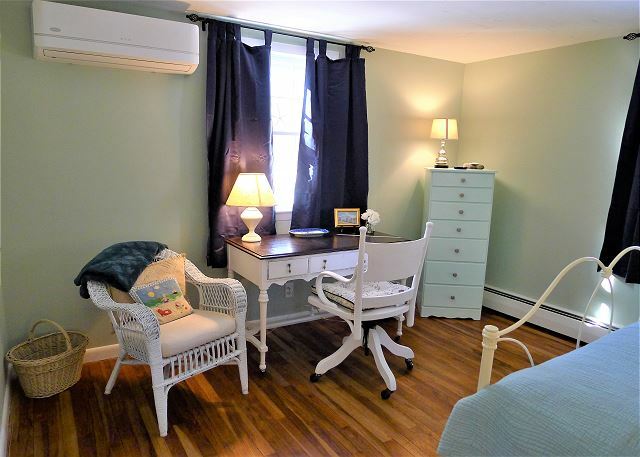 It is cooled by several ductless a/c units: one in each bedroom and living room on the main level and one in the living area in the lower level. 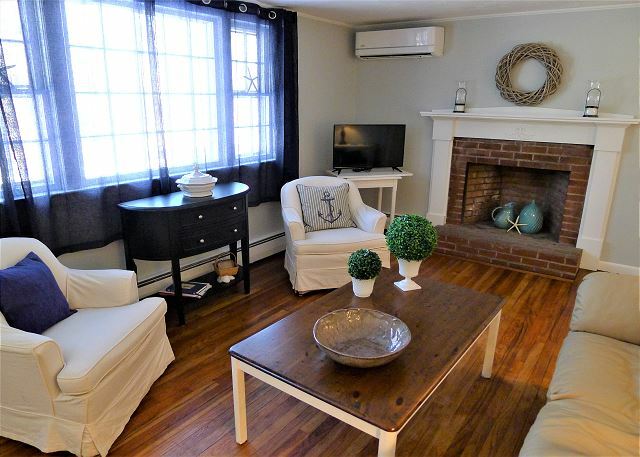 The front door opens onto an expansive living room with super comfortable seating, flat screen TV, WiFi, and a decorative brick fireplace. 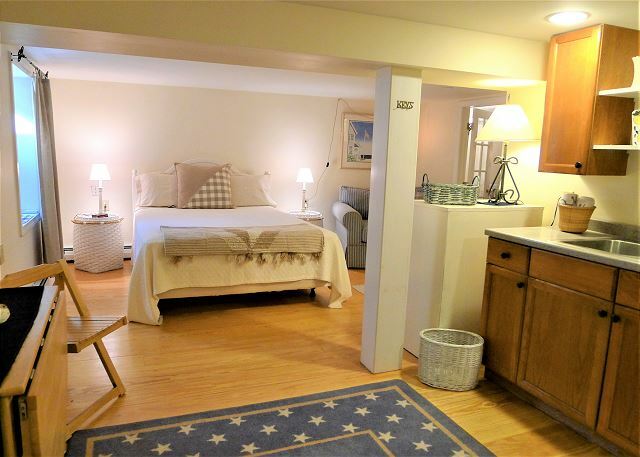 There are two bedrooms illuminated by great natural light. 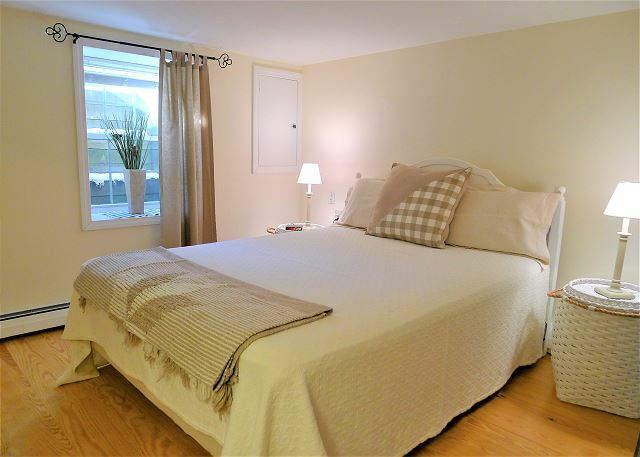 The main bedroom features large windows and a full bed. 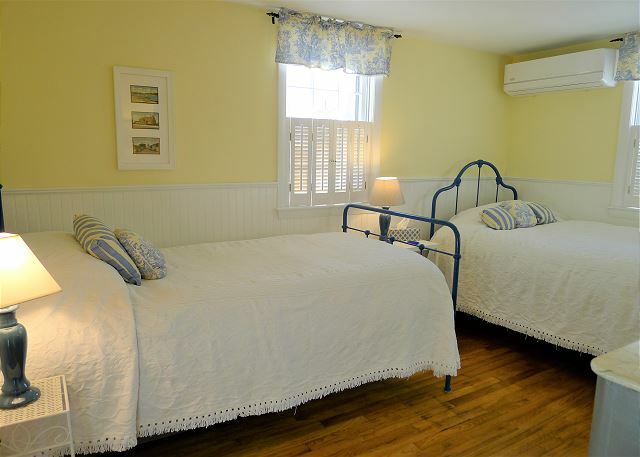 Two twin beds are cleverly tucked into the corners of the second bedroom. 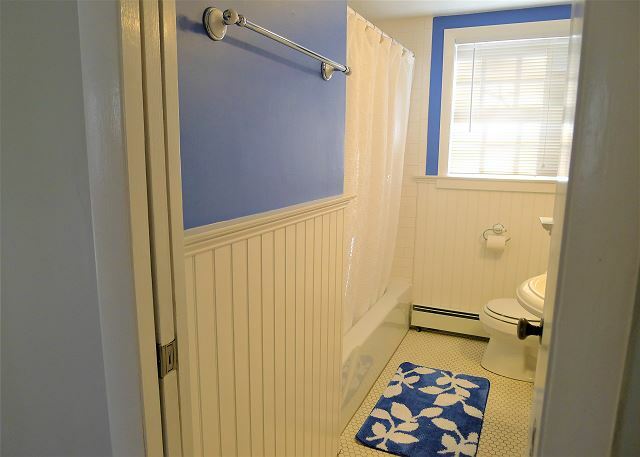 Both share a modern bathroom with bath/tub combo and bead board paneling. 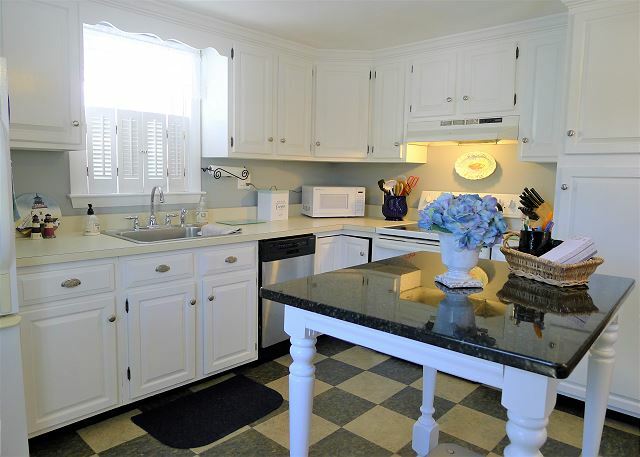 The kitchen combines modern amenities with old-world elegance and comes with a full complement of kitchenware. 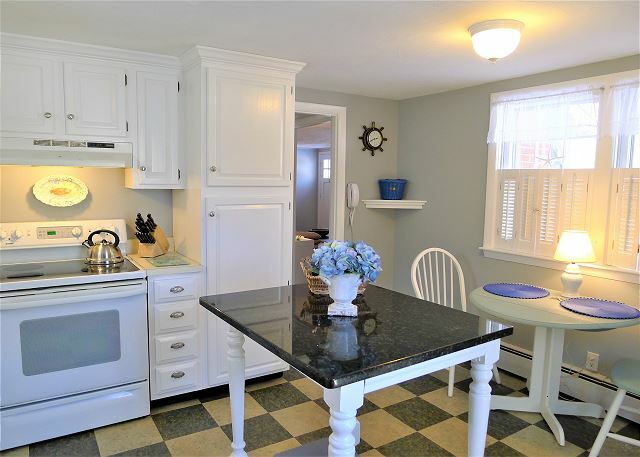 A lovely granite-topped island/table is just right for meal prep or enjoying a cup of coffee, and a table for two sits under a front-facing window. 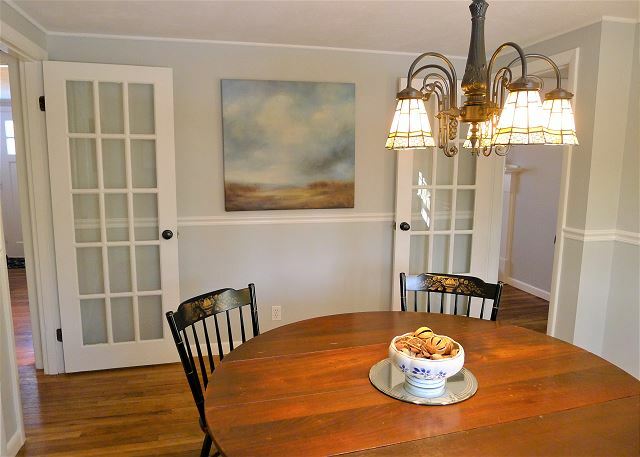 The dining room with seating for six is adjacent to the kitchen, reflecting the graceful charm of this cottage. 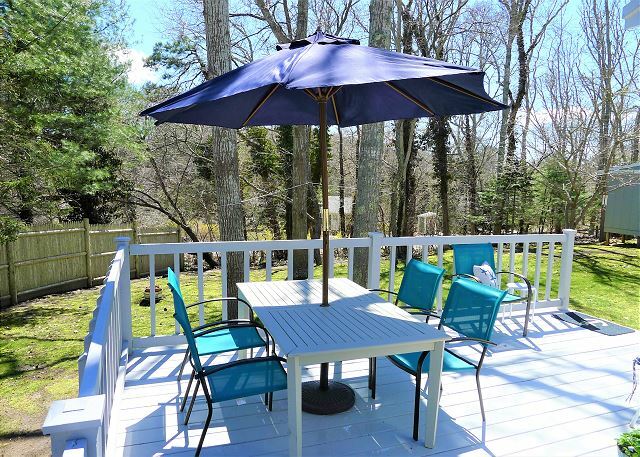 Outdoor dining is a popular option on the L shaped deck that features table and chairs for six, and a charcoal grill. 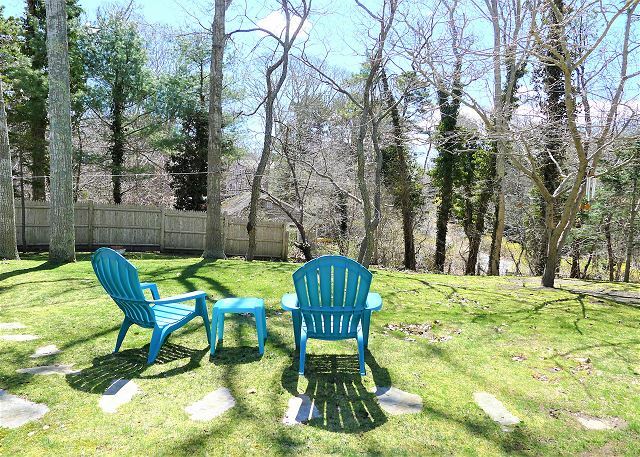 In the backyard there is a private lawn and large enclosed shower. 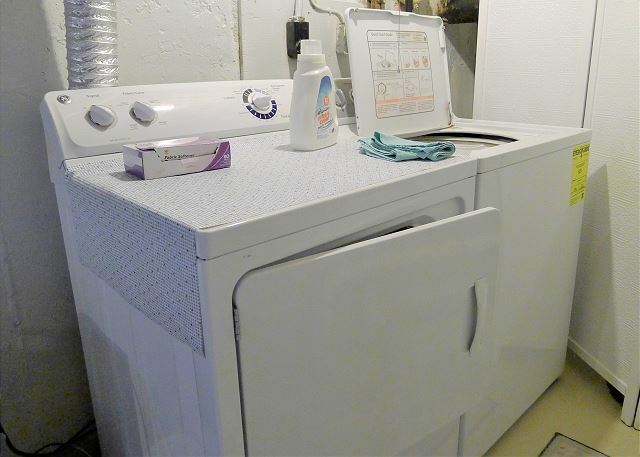 The lower level houses the washer and dryer, and a surprise in-law apartment. 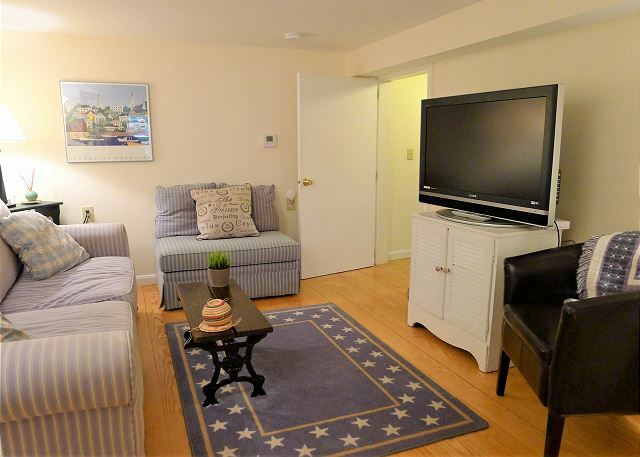 You enter into a den area with a queen sleeper sofa, matching chair, and flat screen TV with dvd player. 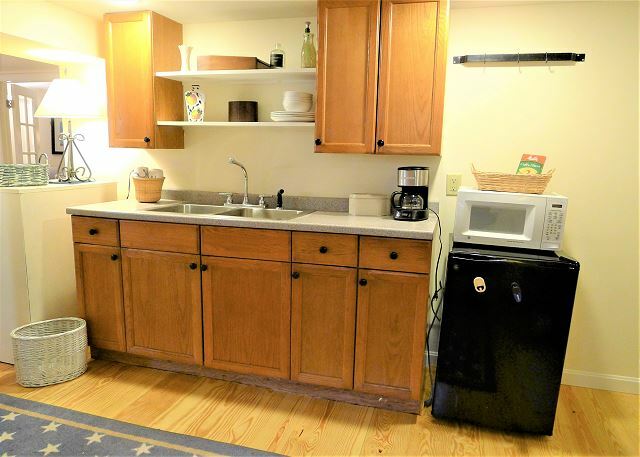 This flows into a larger sleeping/dining space that includes a full-sized bed, table and chairs alongside a "snack kitchen" that boasts a small fridge, microwave, coffee maker, sink, and dishes/utensils.There is a full bath on this level. 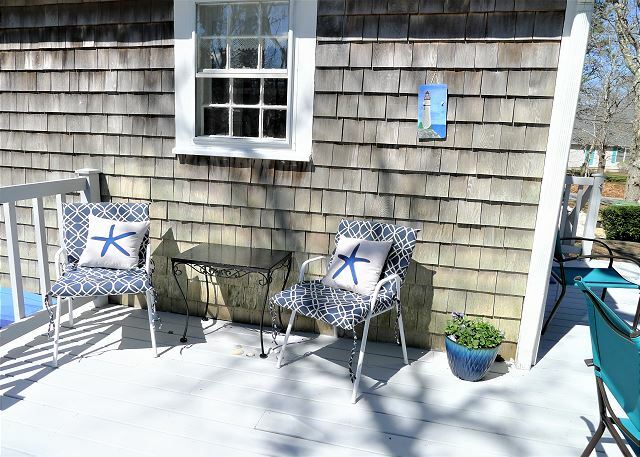 There are two sunny windows and another exit leading up several steps through the bulkhead that can be left open in good weather for maximum sunlight. 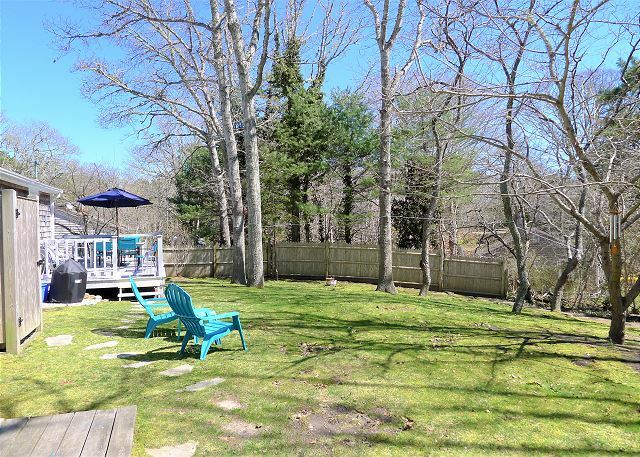 The Harwich beaches to the South along Nantucket Sound & the Bay Beaches to the North in the town of Brewster are just 4 miles in either direction from this home.Exterior shots will be available late Spring. 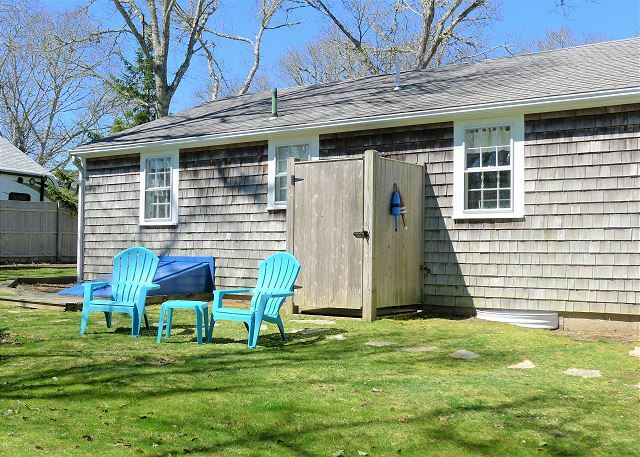 There is parking for 3 cars in the driveway. 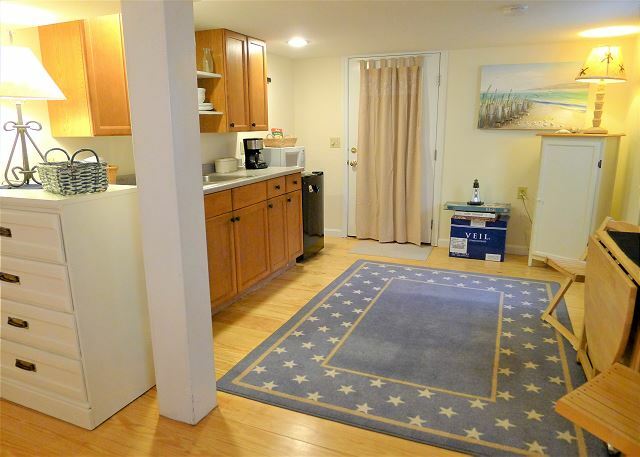 Owner allows dog up to 30 pounds with pre-approval that will be noted on your lease. 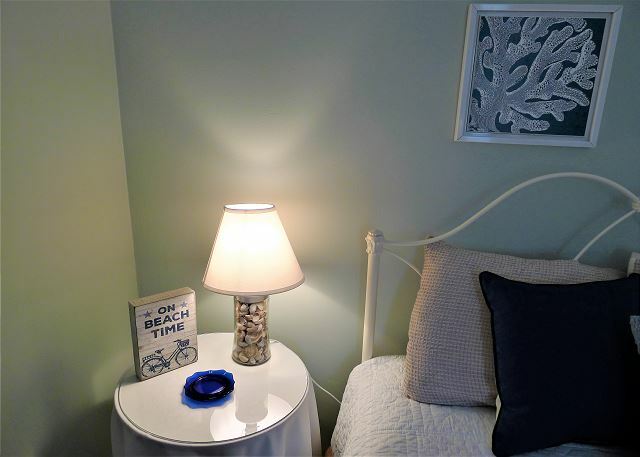 Pet/Guest rules apply. 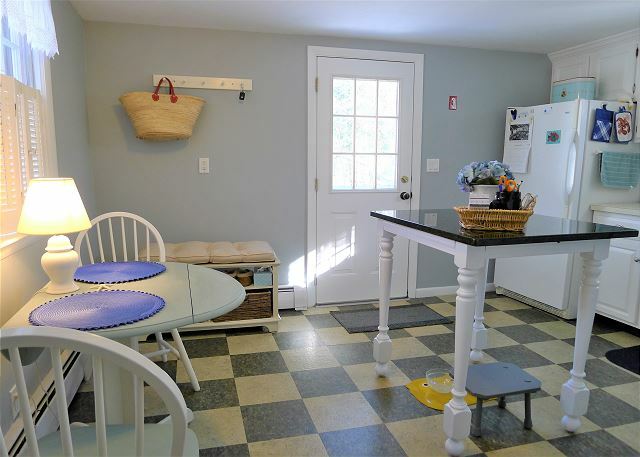 If was fine except for the 2 mice we caught after finding one dead in the laundry area AND watching one run though the living room!The extra bedroom/ family room in the basement is quite separated from the rest of the house - not just by the staircase, but then by an unfinished laundry room and walk through large closet with doors on each end.